This blog is for writers, readers, travelers, dreamers, friends and friends I haven’t met yet. I believe everyone has a right to dream and everyone has the capability to make their dreams come true. I wish to share some of my dreams and would love to hear about yours. I welcome any comments, suggestions, words of wisdom and interesting stories. A bit about me. I am a writer of children’s stories, an employment counsellor, an ESL tutor, a wife, mother and grandmother. I love travel, reading, shoes, cooking, sewing, music, chocolate, walking on the beach and making new friends. My grandson calls me “super-mega-woman-supreme”. I was brought up on a ranch near Medicine Hat, Alberta, where I dreamt of travelling the world and meeting interesting people. I currently divide my time between Orihuela Costa in Spain and the west coast of British Columbia, Canada. My husband, Paul, and I enjoy spending time with our adorable dog, Dot. 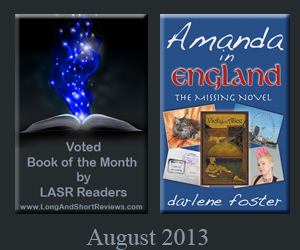 My short stories have won prizes and have appeared in a number of anthologies. I have six published books in a series about a spunky young girl who loves to travel, Amanda in Arabia – The Perfume Flask, Amanda in Spain-The Girl in the Painting, Amanda in England-the Missing Novel, Amanda in Alberta – The Writing on the Stone, Amanda on the Danube-The Sounds of Music and Amanda in New Mexico – Ghosts in the Wind. Readers from seven to seventy plus enjoy following Amanda and her adventures. 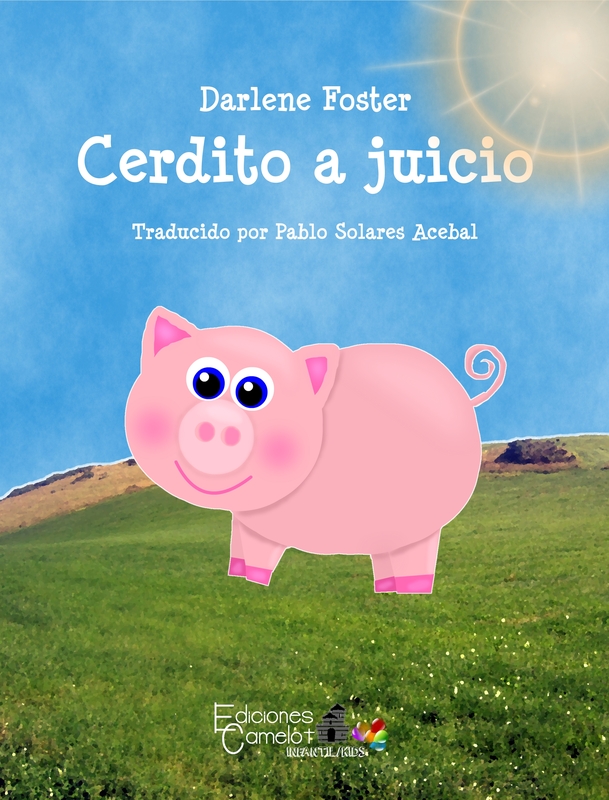 My bi-lingual book, Pig on Trial/Cerito a juicio is in English and Spanish. The launch of my first book! Ah yes … dreams. Gotta dream big, then work hard to make ’em come true. I drive my poor wife to distraction, but she’s really a good sport. And then, there’s my mantra – “Make Every Day An Adventure.” Whoo Boy, do I live for that. Thanks Dave. I guess we are both fortunate to have spouses that put up with our dreamer ways. My husband supports my dreams no matter how bizzare and catches me when I fall. Love your mantra! Hi Darlene, I just wanted to stop by and thank you for your kind remarks about my debut novel, Shadowed in Silk, on Carol Carvin’s blog back in May. You had left a comment saying you would like to win a copy, so I talked to my publisher and we’d like to send you your choice of either an Ebook, which I can send to you right away, or if you would like a printed version, I can put you on the list to recieve a free hard copy in September. Let me know by return email which you would prefer. You may see my email on wordpress, but just in case, here it is spelled out. Of course, Darlene. Now I remember. Enjoy the book (I hope) whenever you get a chance. Have a wonderful summer. Hi there! So glad you found me. I love WordPress. Much easier to comment on. I am following your blog, facebook page and twitter. Happy blogging to you too! 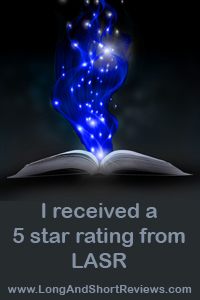 Hi Darlene, I’d love to be able to review your books! That is so great Melissa. Can I send them to you in e-format? Send me your email adress to darlene.foster@telus.net and I will get them right to you. Thanks a bunch!! Your books look great! I have also written some young adult fiction and enjoy learning about authors like yourself. Keep up the good work! We writers need to stick together! And thank you again for tweeting about my book. Thanks for stopping by Kathryn! You are so right, we do need to stick together and support each other. All the best. I’m a dreamer, too. Somedays I don’t know which I am more: a writer or a dreamer. Hence the subtitle of my blog. Thanks for stopping by Diane! I think it is a very good combination, writer/dreamer. Keep writng and dreaming, the world needs more of us! Thanks so much for the 7 x7 award. How kind of you. I’ve been away but will pass it on asap and check out the other blogs. Great blog, Darlene! Based on your bio and your list of favorite things, I think we would enjoy each other’s company! I am sure we will. Thnaks for visiting my blog! Darlene, So happy to have found you!!! I have been hosting Andy and am sure you are going to have a blast with him. I am ready to send him on to you but guess what—-I totally cannot find the email where Lenore sent me your address!! I sent her an email but I know that she is on vacay so if you want to help me out (and speed Andy up!) could you pretty please email me your address???? beth.chiles@gmail.com Thank you !!!! 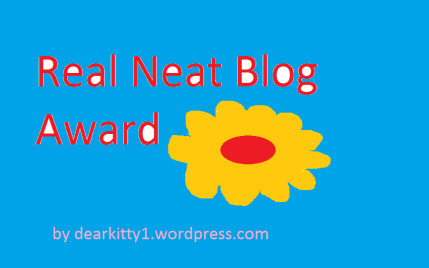 I have nominated you for a Beautiful Blogger Award and I hope you will accept. Pop over to my Blog and visit Fluffy Moments for the details. Darlene, Are you interested in guest blogging on Storee’s site? I like what I see on yours. 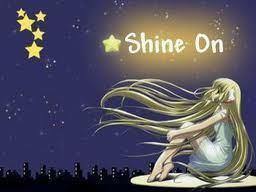 I would love to guest blog on Storee’s site. What woudl you like me to blog about? Thanks for asking me! I do hope you decide to join the fun. For tthe rules and what this entails go to the above link. Enjoy. J.K.
What age range are your books targeted to? Thanks for visiting my blog. My books are written for 8 – 12 year olds although other ages have enjoyed them as well. You have a lovely blog here ! I enjoyed reading your about presentation. Thank you for visiting my blog and commenting. You have wonderful pictures on your blog. Hi Darlene, I look forward to reading about your travels and writing. I am am living in the Cree Nation of Mistissini (a former Montrealer) and quite isolated. I have started to write … now that I have time to to read more! keep posting! Thank you for reading my blog. I’m pleased that you enjoy it. Good luck with your writing! These are exactly the kind of books my daughter would have loved to have read. Real girls in real time. My aunt just published a children’s book for readers of about that age level. I am so proud of her! Hi Darlene, nice to meet you, and to explore your blog. Your children’s books look wonderful. Also I think you live in/near Vancouver – our home town. It’s a beautiful city. Thanks for visiting our blog, and for the ‘like’ on the post about the Guelaguetza Festival. I’m glad you enjoyed it. What an extraordinary experience it was. Thanks for stopping by my blog. Yes, I live in the Vancouver area and work in Vancouver. It is lovely here but I enjoy visiting other parts of the world too. Your article was wonderful, the pictures depicted the colour and pageantry well. Thanks Kamila. I’m glad to meet another dreamer. Pleased you like my blog. Congratulations on your body of work! Thanks for stopping by and following my blog. Look forward to your tweets and comments! wonderful travels and travelogues Darlene. I live on Vancouver Island!! Thanks for visiting. Loved your photo on Capturing History. Love Vancouver Island!! Hi, Darlene! Thanks for the like. Just wanted to drop on by and take a look at your books. Very impressive! Thanks for visiting! Great to have you on board. Thanks for your interest in my books. I have sent you an email. So happy to have found your blog. I am looking forward to reading you! I am delighted to have found you, Darlene. I am happy we found each other! Thanks for following. It is so nice to meet you too. Thanks for following my blog. I wanted to let you know, that I now have a new website, and the old site will be deleted very soon. So that you don’t miss out, I have popped you onto the Follow Me subscription so that you can continue receiving notifications of my blog posts. Could I ask you to confirm the subscription by press the “Follow” button and please put your email in? Thank you so much. That is all you have to do. I look forward to being able to keep in touch with you on my new website. Done! Your new website looks great. Just wanted to pop over and say thank you for liking my post and joining in the share. Thank you for catching my dream blogette. Your site is very professional and rewarding. I wish you continued success. Thanks for stopping by, James. I love anything to do with dreaming!! This isn’t the most profound comment you’ll ever get, but I always loved the name Medicine Hat. Any idea what its history is? Thanks for stopping by my blog. That is a great question. 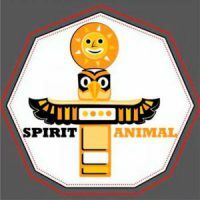 The name Medicine Hat comes from First Nations legends. There are a number of stories but they all center around a medicine man’s feathered headdress.The original name was Saamis, the Blackfoot word for the feather headdress worn by medicine men. One legend tells of a battle between the Blackfoot and the Cree in which a retreating Cree “Medicine Man” lost his headdress in the South Saskatchewan River that runs through the city. I love to share the story of my home town’s unique name. Thank you so much for stopping by, Louise. I have had fun writing these books! I hope you enjoy Amanda and her travels. 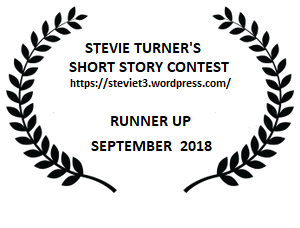 Congrats on your stories! I have a children’s book coming out very soon that I co-authored with my friend. So exciting! Yes, dreams can come true!! Would love to go to British Columbia someday! I have a dear friend who lives there, in the Vancouver area. Thanks so much and best of luck with your children’s book. The Vancouver area is a great place to visit. I hope you get there someday. Thank you so much, Jennifer. Thanks for following back. Hi Darlene! It’s nice to meet you and find your blog. And thank you for visiting mine. I’m looking forward to seeing your posts! Thanks so much for dropping in. I look forward to reading your posts as well. Thanks for considering my post in the top three! !